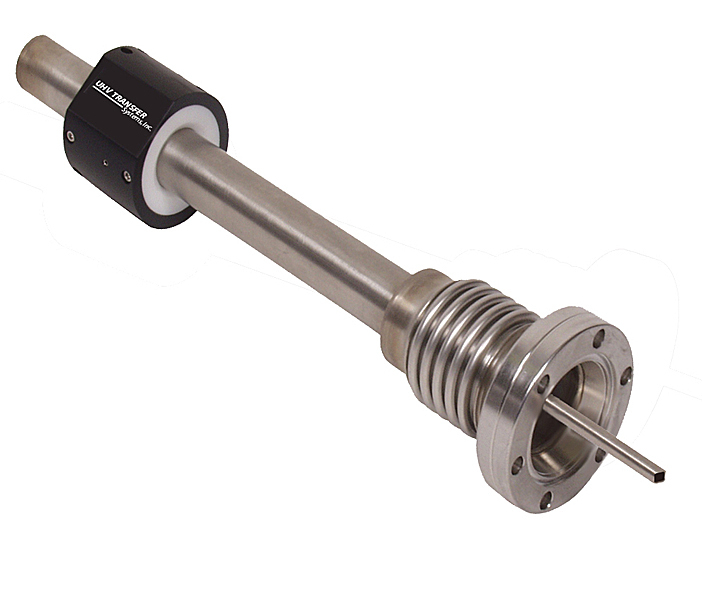 The Model MCTS, Magnetically-Coupled Transfer Sticks are an economical way to perform simple linear-angular motion within a vacuum system. They are robust and reliable reducing the risk of leaks by eliminating the use of edge welded bellows. Rare earth magnets "outside of vacuum" provide a strong magnetic coupling. 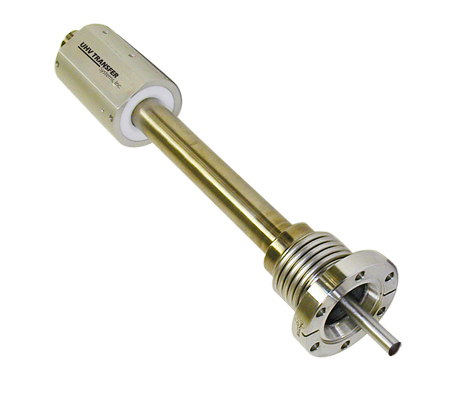 The unit is completely UHV-compatible and with the external magnet carriage assembly removed, it is bakeable to 250°C. 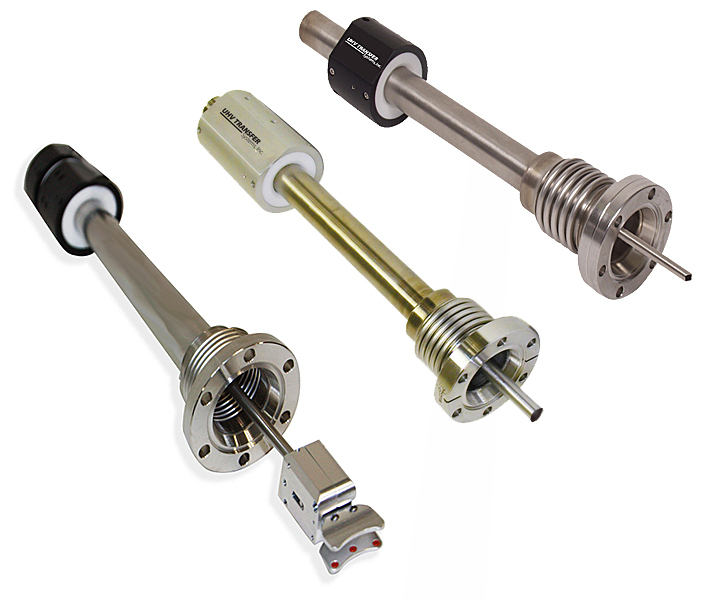 Standard TransferSticks are available with 4.5 inches of push-pull linear travel and an angular tilt of ± 15 degrees.